Data is from the April 2017 UM report titled, "Wave 9 - The Meaning of Moments." 52,500 internet users ages 16-54 who access the internet at least every other day in 78 countries were surveyed online during October-November 2016. 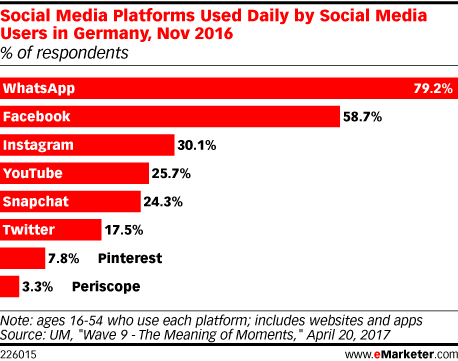 1,003 internet users were surveyed in Germany.